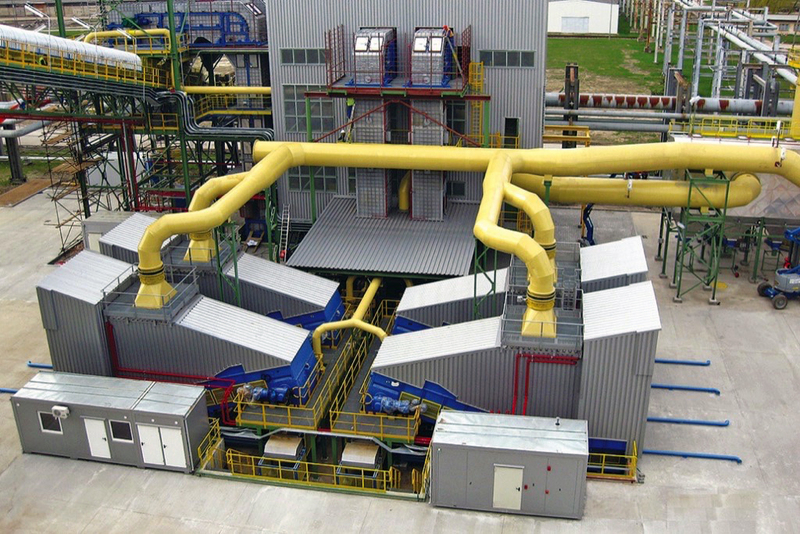 Rheinberg, Germany – A new biomass power plant to be built for ENCE Energía & Celulosa in Huelva, Spain by Spanish general contractor, SENER, will have two Samson® Material Feeders which have been ordered from AUMUND Fördertechnik GmbH. The new power plant will use many different alternative fuels. The decision by SENER/ENCE in favour of the Samson machines was just as much a rejection of the originally planned deep pit solution.The two Samson Feeders will receive the various biomass materials, which can be delivered by several trucks at the same time, and convey them into the power plant, which is designed to produce 40 MW using 100% biomass. ompared to the originally planned deep pit solution, the Samson® machines demonstrate significant advantages on a number of levels. They are simply positioned at ground level and can receive bulk materials directly from dump trucks or sliding tippers. They convey moist, sticky bulk materials without bridging. Significantly less dust is produced due to extraction of material rather than reception of falling material from heights, and last but not least, robustness and reliability make the Samson Material Feeder a durable allrounder. A particularly striking advantage compared to the deep pit solution for the biomass power plant in Huelva is the significantly smaller enclosure that is required, and consequently the much smaller volume of dust to be suppressed. Had the deep pit solution gone ahead, more extensive building modifications with higher investment costs would have been required. The capital investment which had been set aside for civil works is no longer required.